* Total number of reviews and star-ratings are based on data collected during the time period Toptec Heating Cooling Plbg Elect has been using the ReviewBuzz system and may not directly match the data found on each public review site. I had a VERY difficult installation needed. Top Tec sent someone out, they told me my options, then they had a game plan. They needed extra employees to show up...and they worked together to solve my problem. They were quick, and did a GREAT job. I'm so thankful for the whole team. They were courteous and knowledgeable. It was a pleasure doing business with them. After assisting me with a furnace emergency in the middle of January, I decided to have TopTec clean my air ducts and replace my aging HVAC system (furnace, air conditioner, humidifier, filtration system). All of the numerous employees I dealt with were courteous, knowledgeable, professional, and conscientious. They completed all of their tasks in a timely fashion, took great care to protect my house and belongings in the process, and took the time to provide me with some very useful information. I am quite content with the installation and have substantial peace of mind as a result. I intend to enlist TopTec's help whenever it is needed in the future, and I would not hesitate to recommend them to other people. Dre provided fast service. 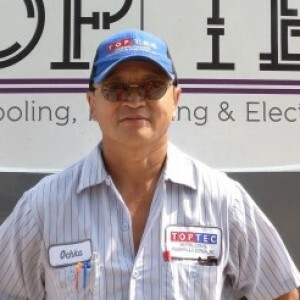 He is an absolute expert at all things related to heating and was able to quickly and expertly fix our problem. 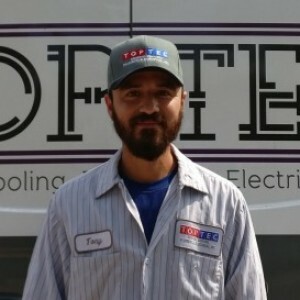 We have used Top Tec for repairs as well as duct cleaning and they have always been courteous And professional from the call to the service. Competent and friendly servicemen doing a greatb job. Not sure who came to do the service. But they did a great job. Always have been satisfied with Top Tec work. No written job scope before the contract and they change it during the project. Have used Top Tec for about 15 years at our business & home. Very efficient, professional, honest & well priced. We have always requested Andre. We appreciate his knowledge and very friendly. 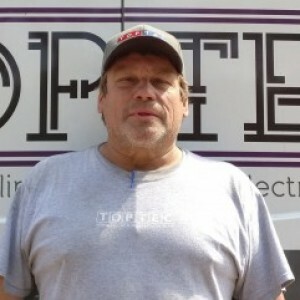 TOPTECH has the very BEST technicians that we have had the pleasure to work with. 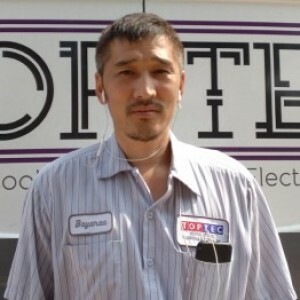 Very knowledgeable, courteous, efficent, speedy to answer calls, and provide their professional best to their customers. Cory is very knowledgeable and professional. He was there for no a/c call. Would definitely would use TOPTEC in the future. 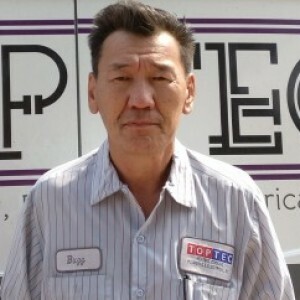 Customer service is always a top priority at Toptec Heating Cooling Plbg Elect. Our BBB Membership rating is like a badge of honor as we continuously strive to provide the best experience for our clients.